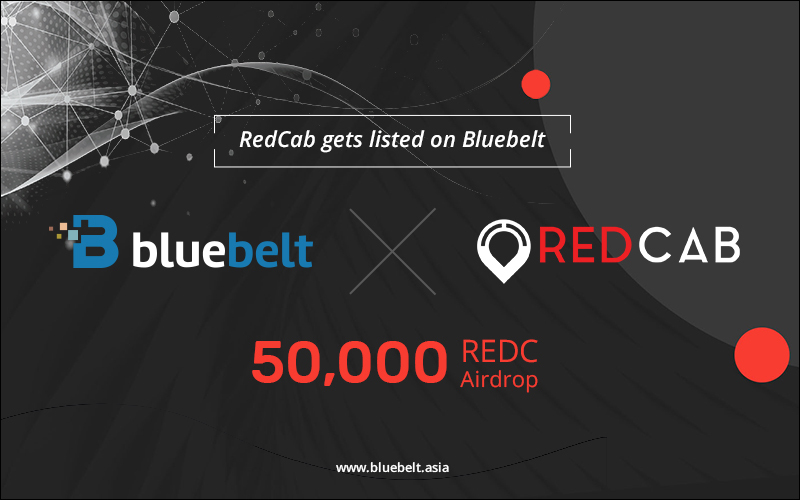 We proudly announce the listing of RedCab on Bluebelt Exchange! RedCab is a global transportation solutions platform that aims to bring back value to transport service providers and consumers through a decentralized platform that uses blockchain and smart contracts. The platform moves away from a commission-based business model to provide the highest profit margin (up to 20% increase) for drivers the lowest costs (up to 30% savings) for passengers. Instead, RedCab will generate income from Geo ads which will be optimally targeted to RedCab users using AI, Deep Learning, and data analysis on user behavior and traffic patterns. The better the ad targeting on RedCab, the better the ad conversions, the more valuable RedCab advertising becomes. RedCab also utilizes a proof-of-driving solution inspired by proof-of-work consensus to incentivize drivers to keep using the RedCab app and earn tokens as long as they do business with it. It also offers a Referral Program and a neural network assistant called Cabbi to help users plan trips. Their token sale concluded on October 15 and about 38,029,021 REDC tokens will circulate, according to their token sale website.